A think tank is an organization that performs research and advocacy concerning variety of political, social and economic topics. They are platforms for creating and implementing solutions for many problems. If you are a business owner, this can be specifically directed towards your business. Think tanks can be cultivated by businesses as a way to gain insight into their company. This way, they can learn more about the market, their products, their customers and how they can improve different aspects of their company. If this sounds like something that you would like to utilize for your business, perhaps to improve your logistics management, you should consider creating a think tank today. Below is a guide on how to build a think tank for your business. Follow these steps. One of the most important reasons to consider developing a think tank for business is the power they have. Think tanks have real power in shaping government policy. Think tanks are really just groups of researchers that devise new ways for your business to make money. This is all done with tax exempt status, as well. This is never a bad thing for your bottom line. If you want to experience the power of think tanks in policy development or overall business performance, keep reading to learn how to create a think tank. The first step to creating a think tank for your business is to determine its scope. 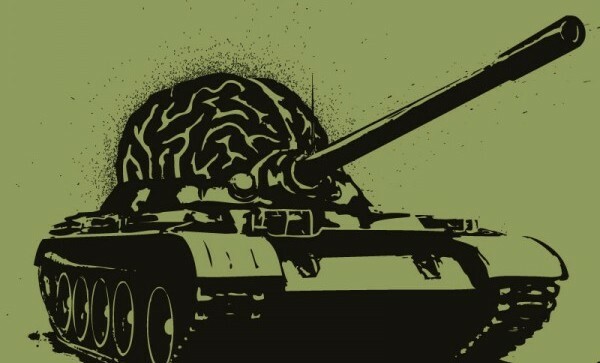 How many areas of business will the think tank cover? Will they just focus on marketing or will they analyze different problems throughout the company? You should also factor in whether or not your business matches the small business definition. If so, a think tank may not be a priority for right now. These are important questions to ask so that you can decide who and how many people should be involved in the think tank. After you have outlined your expectations for the think tank, it is important to appoint a leader. This could be somebody who currently works with your business, or you can hire an outside expert. The leader will help facilitate discussion and present problems to the team in order to find a solution. Make sure it is someone that you can trust with this responsibility. Now that you have a leader, it is time to assemble the rest of your team to have a real business impact. Here, it is important to note that you should always hire experts from outside of your company. A team of employees discussing problems with your business will not have the same perspective as outsiders. Instead, make sure to hire a diverse group that can offer unique viewpoints about different problems in your company. Once you have put together a team of innovative thinkers and experts, it is time to put them to work. Present a problem that you would like to solve for your company like ask for new project management tips, for example . It can be something big or small to start them off. Whether it is a failed product that needs evaluation or an advertising campaign that requires advice, present it to your team so that they can put the think tank to work. The next step to starting your think tank is to encourage conversation. Now that they have a problem to consider, make sure that they are outlining their thoughts and opinions on the matter. Their brainstorming sessions and discussions are the reason you built the think tank in the first place! Think tanks are a great way to solve problems and gain insight into a company and your core values. As long as you assemble the right team and encourage conversation, you should have a successful experience. Be sure to take their suggestions into consideration so that you can continue to better your business.